academia is no exception to this fact. today's Uniformitarianist approach serves a lot of interests. by Firestone et al. becomes the key to understanding our future. since arisen about a tiny sliver of evidence cited in their book. Scientific Establishment has for real science - the kind of science that could help humanity escape from the shackles of history. and the mammoths they fed on, and plunging the region into a deep chill. in the history of modern archaeology, which begs for an independent review so an accurate record is reflected in the literature. Impact Theory an independent review? Notice the double-speak here too. Yet, the scientists who described the alleged impact in a hallowed U.S.
hallmark of credibility in the scientific world. mining industry who lives in Dewey, Ariz.
"biased," "nonsense" and "screwed up." irregularities. Other times, the proponents succumbed to self-delusion. of Dalton who has already revealed his agenda at this point. small-town officials fat fees for water studies. California that contracted with several cities for water studies. of California is completely clean, and he has no "criminal record,"
contrary to the claim by Rex Dalton in his article (see 1). State governmental agencies, the U.S. Geological Survey, the U.S.
the California Energy Commission (see 2). "Whitt," and filed the name with the State of Arizona as a legal tradename under the designation "author"
- nobody accused Asimov of deception. 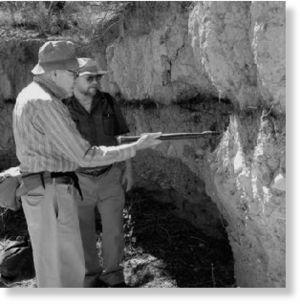 Springs Clovis site in Southern Arizona. Theory and not West's bureaucratic tangles from his previous employment? Wallace Broecker - 'Climate' Researcher: "Those who don't believe in human-produced global warming grab onto it [supposedly means the Impact Theory]." 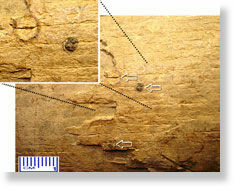 the alleged 12,900-year-old impact time." 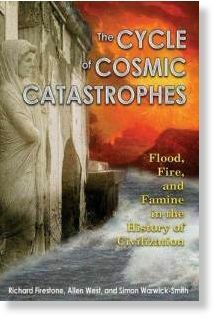 an impact is beyond the scope of this article, but the Cosmic Catastrophes book does a good job of explaining it in layman's terms. evidence he's pointing out is 'all there is' to the Impact Theory. when attempting to confirm or refute the Impact Theory. Egyptian pharaohs were building the Temple of Karnak 2,800 years ago. hunting mammoths during the time of the Battle of Gettysburg in the U.S.
in the gaping holes that he leaves in his logic. So what other evidence do Firestone et al provide, which Dalton has so conveniently omitted from his article? one rimmed with a layer of sand. probably have caused an explosion of ice. leading to immediate geological and climate changes is pretty solid. Siberia, and in antlers and flint pieces from North America as well. state. No gradual process can account for this. their book. Dalton's article mentions none of these points. science, and we do our best to point them out here on SOTT. I don't get the "uniformitarian" argument as the regular if discrete periodic impacts are a uniformitarian concept. There is lots of evidence that such impacts are a feature of the planet's history and there is one of these on the way as I write. Unfortunately the "suppressors of the truth" prefer not to consider such a possibility or give light to the evidence. Of course the motivation behind Dalton's "work" is easy to evaluate. The pschopaths and their accolytes who control the planet cannot countenance the possibility of people or events being beyond their control. So events or the possibility of such events must be denounced. As it is the majority of the sheeple would rather dwell within the certainty of lies than embrace the liberating uncertainties of truth.